STILL standing at the time this photo was taken in 2008, the Borrika Football Club scoreboard, now fallen to the ground, like a big ruckman with a buckled knee, is a testament to the changing face of country football. In South Australia, this now unattended scoreboard is not alone, in fact it’s not even by itself in its own region, the rough and tough Mallee of South Australia. A drive along the Loxton to Karoonda road reminds us that mergers are not a new thing. If you look carefully enough, you can see old ovals at Wanbi and Wynarka, as well as Borrika, along with several other small settlements along the way. In fact, a look at the histories of many of the clubs across the Mallee region of SA now embarking upon another season will tell you they were formed from mergers. Just some of them are Mallee Football League club Karoonda and Riverland Independent clubs Brown’s Well, East Murray, Wunkar and Blanchetown Swan Reach, the latter from the Mid Murray Football League which was abandoned at the end of the 2008 season (resulting in the closure of another merged club Morgan-Cadell). Borrika is one of the more prominent ovals along the Karoonda to Loxton road. Former Mallee and Riverland man Peter Lines, now living on the West Coast, has researched the history of the state’s football clubs for his two books, the second of which was the South Australian Country Football Digest, released in 2012. He records that the Borrika Football Club was formed in 1916.In 1923 it entered the Murray Lands Football League and in 1956, it merged with Sandalwood, continuing to play at Borrika. A former footballer himself, with too many clubs to mention, and now an umpire, Peter recalls playing on the ground. 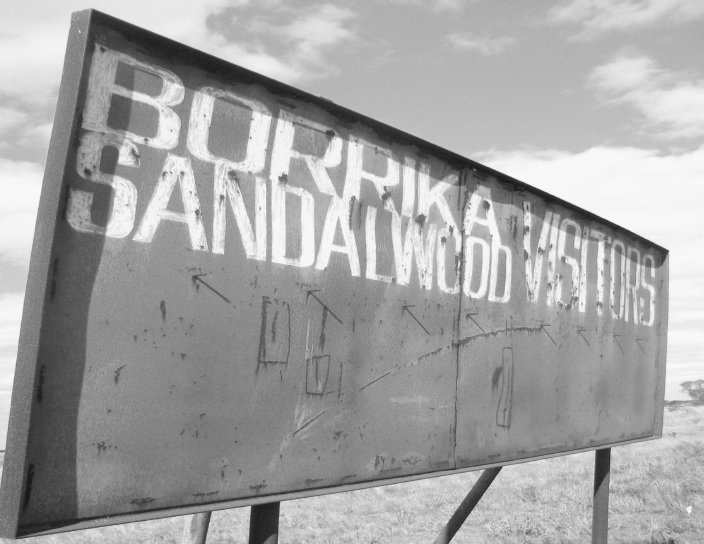 “I have fond memories of the Borrika oval,” he said.”When I was a little tacker in 1971 I played a few matches for Borrika Sandalwood as East Murray, being newly merged, was pretty hard to break into. “In 1976 I kicked 18 goals in the last minor round match to bring up 100 for the year. It was actually 18-16 after being 6-14 at half time. Peter was among the last to play at the oval, as the club again merged to become the Karoonda Combined Football Club in 1977. By 1994, the region’s population had further shrunk, resulting in the merger of Karoonda with fellow Murray Lands clubs United and Wynarka, the home of Adelaide premiership player Tyson Edwards, and the closure of the league. Karoonda Districts, which includes among its products Norwood star Roger Murdoch, then joined the Mallee Football League. Nowadays, a quick drive into the Borrika oval reveals a dilapidated change room, a cleared area with a fence around it and the scoreboard, now resting angularly on the turf. The ghosts of football past are still there – reminding us of a time when small communities throughout the Mallee thrived on their weekend kicks. A version of this award winning community football story first appeared in the Riverland Weekly in April, 2008. Rob McLean is a journalist, sports fan, and editor of Wicket To Wicket. A great find Rob. Thanks.